Las Higueras is one of the most popular destinations at La Manga Club Resort for 2018 – and it’s not difficult to see why. It comprises a selection of beautifully designed villas, each of which comes with its own private splash pool, as well as access to top quality on-site services. Every villa has its own small private garden, a sun terrace and a BBQ to really make the most of the Spanish weather. Las Higueras has been built with a small village feel in mind. As a result, each property has a unique sense of style, and the relaxing surroundings you’d expect to find in Spain. New Property: Villa Las Higueras Olivo, 3 bedroom. sleeps 6, Private heated pool and Free Air conditioning. 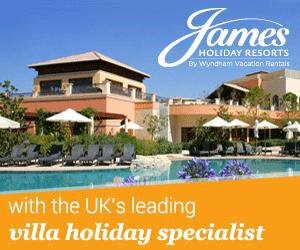 More Las Higueras accommodation* available at from £128 per night. Whether you’re a solo traveller, going away with family or in search of a perfect place to stay with friends, Las Higueras ticks all the right boxes. Properties have between two and three bedrooms, so there is sure to be one that suits your individual requirements. La Manga Club Resort is popular for its amenities, such as a restaurant, supermarket and even a kids’ club, so you never have to go far to find exactly what you need. Murcia San Javier Airport is also close by, so getting your holiday at Las Higueras started couldn’t be easier.